What They Call Games: What do they call games? What do they call games? When I came up with the name of this blog, I was thinking of how varied video games have become. 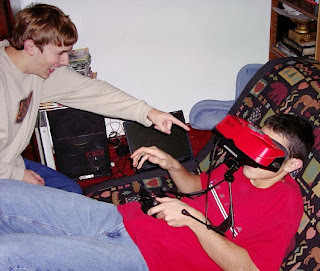 I knew I wanted to write about video games (and computer games) and gaming in general, but I wondered how far that distinction went. In some cases, what "they" call games, aren't what most gamers would call games. For example, are visual novels games, even though their only input from the player is often just pressing a button to advance text? 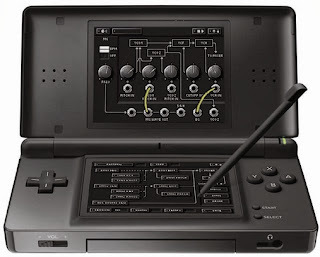 Or what about Korg DS-10, an audio synthesizer for DS? That's more of a tool or program than a game, isn't it? Perhaps the term "game" is part of the cause for confusion. Back in the day, video games clearly were games, not all that disconnected from physical games like Connect Four, Poker, and tag out in the back yard. But since then, developers have figured out that they can do other things on the same platforms as games. The word "game" implies fun, yet "film" only describes a medium. Certainly, films / movies are usually entertaining to watch, but they can also be informative or even unpleasant to watch. Could a game be intentionally unpleasant or not fun in order to inform or convey certain emotions, or would it cease to be a game because of no longer being fun entertainment? I don't see why there couldn't be an intentionally un-fun game, though I think the developer would have a difficult time getting people to play it. (Heh, "play", another fun word.) Don't get me wrong, I'm not suggesting we start calling games "interactive media". There's no way that'll catch on. But, for the sake of argument, I don't think that defining what is and isn't a game based on the usual English meaning of the word is going to work. Ok, so let's think about a couple possible answers to the question of what makes something a game and see how they work out. Is a game something that is playable on a gaming platform? That can't be a deciding criteria since most gaming platforms have downloadable apps that are decidedly not games. Then there are computers which play games, but you wouldn't call Microsoft Word a game just because it's on a computer. Even within digital game distributors like Steam, there are non-game applications available. On Game Boy Advance there were actually videos on cartridges that you could watch, and those certainly weren't games. And on top of that, there are games on non-gaming platforms, like those generally crappy DVD player games. No matter how you look at it, whether or not something is on a gaming platform can't determine its identity as a game. 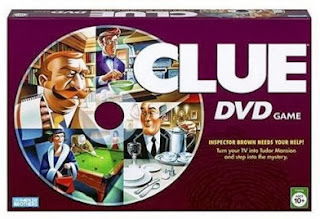 DVD Players aren't usually considered gaming devices, so is this a game? Is a game something that is interactive? It seems to me that, yes, a game is something that is interactive, but clearly not everything that is interactive is a game (once again, consider Microsoft Word). But if a game must be interactive, how interactive does it have to be to be considered a game? If the only input from the player is turning the virtual pages of a visual novel, is that enough to be considered a game? Some would say yes, some wouldn't. Nobody considers ebooks to be games, but visual novels, on the other hand, are still contested territory, perhaps due to their graphics and audio. But just having graphics and sound doesn't make something a game either, as there are also plain text games like good old Zork. No matter how you look at it, it's very difficult to determine the point at which something is or isn't a video game. All we have is the necessity for some kind of interaction and some kind of visual feedback from the game, but as we've seen, non-games can also fall under that description. We could just... not. In the end, it's not even important whether you or "they" call something a game. It's just a word anyway, and not everything has to fit into a concise category. What you call it doesn't hold any bearing on what it is, and if what it is is something you want to play / watch / read, well then, by golly, stop worrying about vernacular and just play the... whatchamacallit. Just playin' some whatchamacallits on my thingamajig. But... that's not really an answer and leaving the article at that will make me feel as though I've just wasted your time. The truth is that I do have an answer to this question that I'm satisfied with. 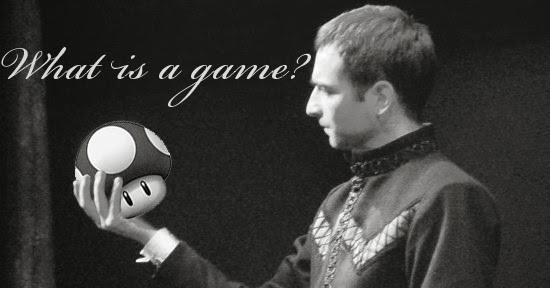 That is: a game is a game if it is the developer's / author's / artist's intention for it to be. If it's ambiguous, just let the person who made it decide. It only seems polite. Language doesn't always lend itself to categorizing everything perfectly. Where you draw the line between game and non-game may be different from where I would draw it. But for the purposes of this blog, my or your line is irrelevant. It's about what they, the developer or some people somewhere, call games, and although I may not always agree with "them", I tend to think that the ambiguous boundaries of gaming only serve to make the medium more interesting and fun. What do "they" (you) think makes something a video game? Leave a comment and I could add your definition to this post!